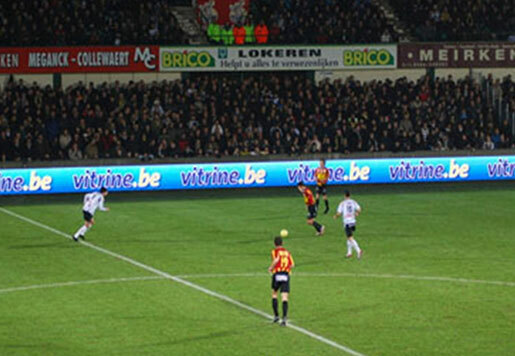 The LED perimeter display for the stadium is used to make advertising for sponsor. For the sponsor, it will be a good way to show your products and brand to the audience. 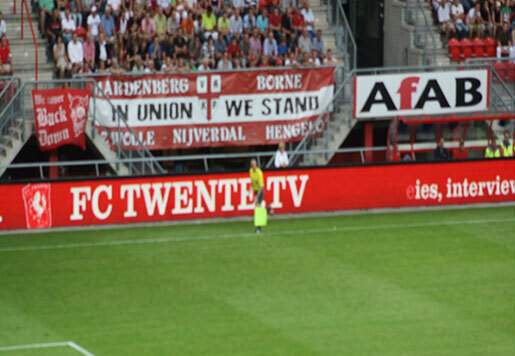 For the club, it is also a great way of collecting money from sponsor. Soft mask and the rubber cover on the top of the screen are needed to offer protection to the unit itself and protect players from injury. LED parameter display has high gray level, high contrast ratio and high brightness, vividly and naturally display video image. Compared with other video display, it has many advantages such as easy to install and maintain, good color uniformity and powerful color reproduction ability. 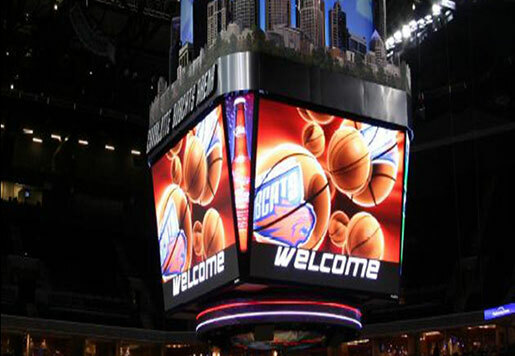 LED perimeter display can display display various kinds of HD video, graphics and image advertising content with a real time, synchronous and clear information dissemination way. With a refresh rate as high as 4800Hz, it ensures that HD camera can shoot every wonderful scene. 65536 levels of grey scale provide technical support to display delicate and vivid pictures. A high brightness of 6500nits help audience see clear video image even under strong sunshine. LED perimeter display for stadium can be adjusted from 75 degrees to 90 degrees, enabling all the audience to enjoy the display contents. Meanwhile, special backing feet behind cabinets give a distance of 2cm between cabinets and the ground, which effectively protect cabinets from water. A cabinet is 1.5m in length and 62kg in weight, rational dimension plus quick connection button between cabinets make it quite easy for workers to install and dismantle the screen body, it takes only 3 hours to install football perimeter display. Stadium LED display adopts specially designed soft module masks, which can offers protection to the unit itself and protect players from injury. System maintenance excludes the maintenance of complicated controlling part, so even junior staff can finish maintenance work independently, and this will dramatically reduce the total maintenance cost and increase the satisfactory of users. 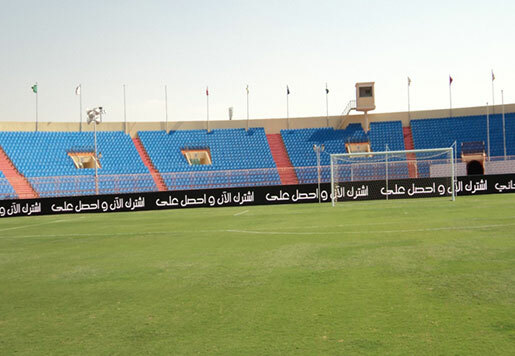 our stadium LED screens use high-effective optical fiber transfer system that is designed to ensure speed update of information and the uniformity of images. 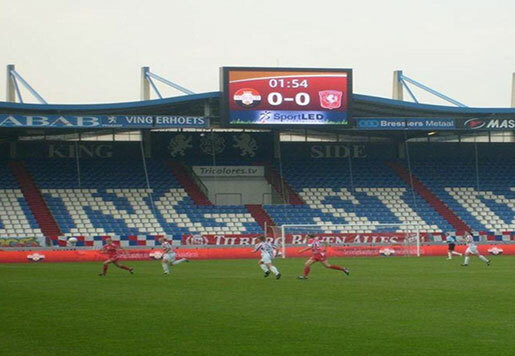 Leeman stadium LED displays could utilize two computers to ensure interruption-free display of images and videos. If one unit was to turn off due to technical issues, the other one will automatically act as a backup solution. 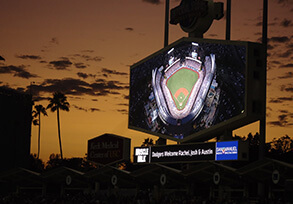 8 Professional sports display software available. 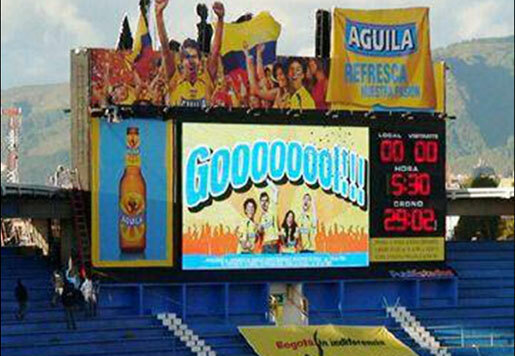 Our company is able to supply stadium LED displays with high stability, high reliability and long service life. 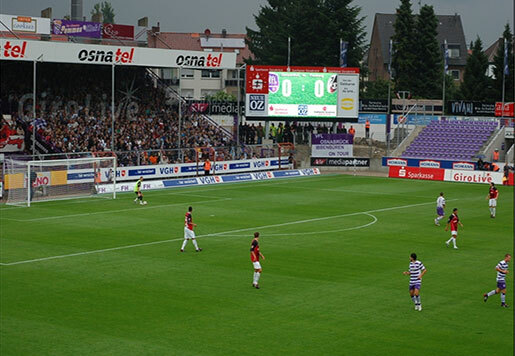 With IP65 protection grade, our stadium LED displays can be protected away from rain or water damage and work steadily in rain. Video Signal Output RF, S-Video, RGB, RGBHV, YUV, YC etc.